The four canonical Gospels of Mathew, Mark, Luke, and John are first-hand accounts of the life and teaching of Jesus of Nazareth written in the 1st Century. These books form the start of the New Testament and provide the theological foundation for the 2.4 billion Christians living today. Other Gospels are mentioned in the historical record but were either lost to the sands of history or considered heresy by Orthodox institutions . 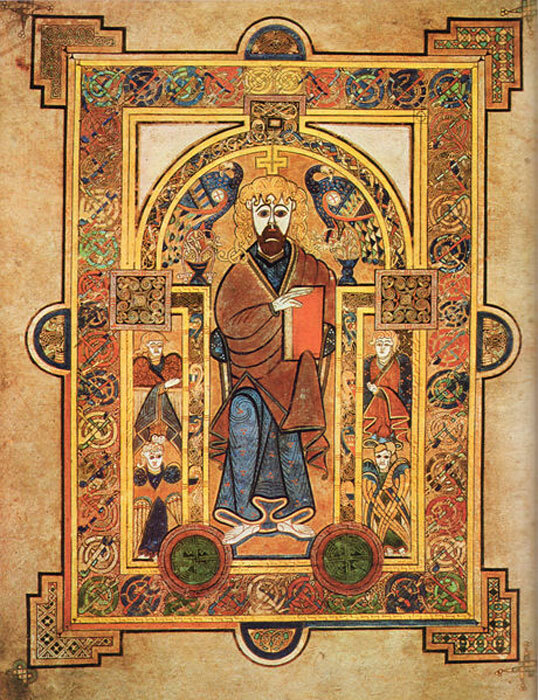 However, since the mid-20th Century, several non-canonical Gospels have been discovered. 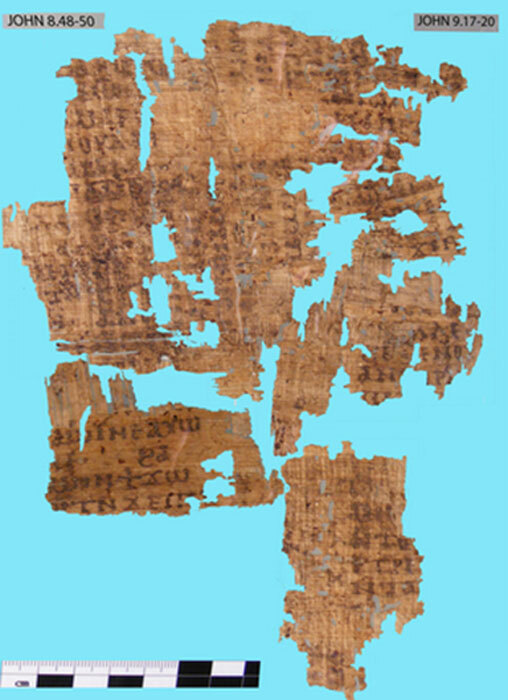 When this small scrap of papyrus surfaced at the International Congress of Coptic Studies on September 18, 2012 in Rome, it caused a media sensation and almost immediately gained avid supporters and critics. Almost straightaway the Vatican denounced the text as a forgery. This is unsurprising given the Catholic Church’s stance on clergy, Jesus included, being celibate. 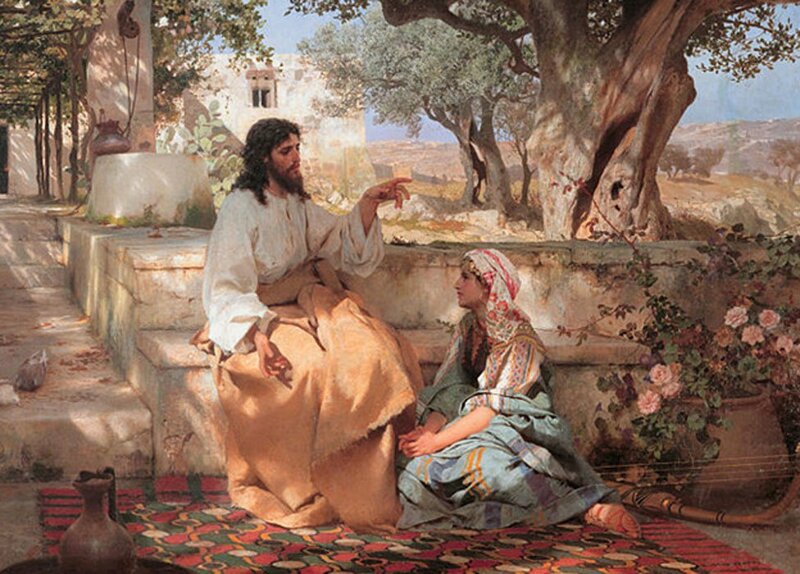 It is the fourth line of text which reads “Jesus said to them, ‘my wife’…” that is the cause of so much contention. The idea that Jesus of Nazareth was married is a staple of many conspiracy theories. The bestselling books The Holy Blood and the Holy Grail (1982) and The Da Vinci Code (2003) can be attributed for the modern interest in the bloodline theory. However, these claims are not based on scripture, unless you consider the non-canonical Gospel of Philip , or historical evidence, and thus generally regarded as pseudohistorical works. Most sources and scholars, both secular and theological, agree that Jesus was celibate, which was not out of the ordinary and even expected of a 1st century Rabbi. The GJW is short, comprised of only eight lines written in Coptic. Coptic is an Afra-Asiatic language that was spoken in Egypt in the 2nd to the 17th centuries, though the Coptic Orthodox Church of Alexandria still uses it as a liturgical language. Radiocarbon dating of the fragment conducted by Noreen Tuross (Harvard University) in conjunction with the Woods Hole Oceanographic Institute gave a mean date of 741 AD. However, this date does not rule out the possibility of the that the text is a modern forgery, as papyrus fragments dating to Late Antiquity and the Early Middle Ages are relatively easy to find. So, the age of the papyrus is neither conclusive evidence of authenticity or forgery. Even if the text did date to Late Antiquity or the Early Middle Ages, it tells us nothing about the historical Jesus nor will it change already established Christian doctrines. Instead, it would provide an insight into the beliefs of a few esoteric Christian communities. Is the Gospel of Jesus’ Wife Nothing More than a Forgery? The writing style of the text provides more convincing evidence of forgery. The Coptic words were written using a brush, as opposed to the fine reed pens that were the commonly used method for writing on papyrus at the time. Grammatical and spelling errors in the gospel imply it was written by a non-native speaker of Coptic. This is to be expected as Coptic was an important literary language in the 7th century, so the writer may have learnt it as a second language or had poor spelling and grammar. More damning is that most of the text in the GJW is also seen in the non-canonical Gospel of Thomas , the most famous Coptic early Christian text. Many lines from Thomas are replicated in GJW almost in their entirety. Importantly the second line reads “The disciples said to Jesus”. This may sound like a perfectly reasonable statement but consider, this exact wording is not in any of the canonical gospels but appears three times in the Gospel of Thomas. Line four in the GJW, the one that contains my wife , is not found in the Gospel of Thomas. It appears this phrase was somewhat ad hoc, inserted into the text to make it more sensational. A sister text to GJW, a fragment of the Gospel of John , is universally considered a forgery. Karen King, the scholar who first presented the GJW in 2012, obtained this text at the same time. Like GJW, it too is written in the same broad handwriting, almost certainly by the same person. 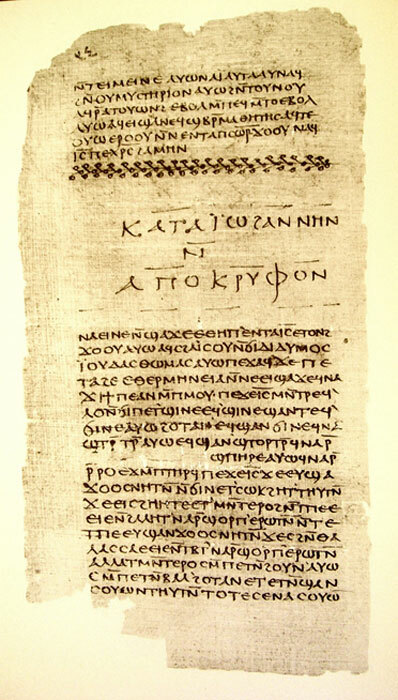 This copy of the Gospel of John dates somewhere between the 7th and 9th centuries but uses a Coptic dialect that went extinct in the 6th century. More damning is that scholars have a pretty good idea of how this text was forged, they used a PDF File. The text was copied from the 1923 translation of the Gospel of John by Herbert Thompson, which is easily obtained as a PDF File online. The fragment skips every other line in Thompson’s publication to give the appearance of the Coptic continuing after the papyrus finishes. In summary, the evidence suggests that the GJW is a modern forgery written by the same person who faked a copy of the Gospel of John. This is the mainstream view amongst scholars. Even Karen King, the historian who first presented the artifact and for years defended it, said in an announcement in June 2016 that the papyrus was likely faked. Aslan, R. (2014). Zealot: The Life and Times of Jesus of Nazareth . The Westbourne Press: London. Sabar,A. (2016) "The Scholar Who Discovered the 'Jesus's Wife' Fragment Now Says It's Likely a Fake" . The Atlantic . Retrieved: https://www.theatlantic.com/politics/archive/2016/06/karen-king-responds-to-the-unbelievable-tale-of-jesus-wife/487484/. "Rabbi", as a religious title, does not appear in the Hebrew Bible. The Rabbinic Period began in the 6th century A.D. The root word ( rabban) originally referred to a scribe. It sometimes was used to refer to the president of the Sanhedrin. "Rabbim" referred to the entire religious community. Men were not allowed to speak at the Temple until they had fathered 2 children. Celibacy did not refer to abstaining from reproductive activities. Celibacy referred to ritual cleansing after the month when reproduction was practiced, and return to the Temple. (roughly our September). I am registered as potentially Jewish by virtue of my mothers maiden name.